My Garden Club had their last meeting of the season this week and it was again my turn for the food. My name's only supposed to come up once a year, but I don't really mind as it gives me the opportunity to try new recipes and get immediate feedback. This month, we had a young woman speak to us about the environmental problems in the Everglades and South Florida in general. Enlightening and she made this complicated topic entertaining as well as informative. Quite a combo. What did I serve for our morning meeeting? My Almond Raspberry Muffins, Gayle's Walnut Tweed Cake, and Smitten Kitchen's Fresh Peach Shortbreads. While I have served the shortbreads before, I've never posted the recipe, just a link. So because peaches have finally arrived in my market and because the plate was licked clean, I am finally going to post the recipe and a photo. These are great for a crowd...nice big pan and I cut mine small enough so that I got more than 30 or so out of the pan. These women only like a mouthful....which always makes me smile because then we eat more of them! I can't think of a better recipe to begin peach season....Deb's recipes are the best! Cook's note: Deb suggested browning the butter, which I did, and stuck it in the fridge overnight. But if you don't want to bother, just use unsalted butter as listed below in her recipe. Melt butter in a small/medium saucepan over medium-low heat. It will melt, then foam, then turn clear golden (At this point, mine always foams again....why does nobody ever mention this? Happens to me every time.) and finally start to turn brown and smell nutty. Stir frequently, scraping up any bits from the bottom as you do. Keep your eyes on it; it burns very quickly after it browns and the very second that you turn around to do something else. Set it in the freezer until solid (about 30 minutes), or overnight in the fridge like I did. Make sure it's firm all the way through before using. If not, stick in the freezer for a bit. 2 peaches, not peeled, pitted and thinly sliced (between 1/8 and 1/4-inch thick) My peaches were small probably because it's early in their season and I ended up needing 5 or 6. Preheat the oven to 375°F. Butter a 9×13 inch pan. In food processor pulse the sugar, baking powder, flour, salt and spices a couple times to mix. Add the butter and egg into the flour mixture. Pulse until mixed. It will be crumbly. Pat 3/4 of the crumbs into the bottom of the prepared pan, pressing firmly. Tile peach slices over crumb base in a single layer. Scatter remaining crumbs evenly over peaches, press down slightly and bake in preheated oven for 30 minutes, until top is slightly brown and you can see a little color around the edges. Cool completely in pan before cutting into squares. I kept mine covered in the fridge overnight, but think you could easily freeze these as well. Take my word for it...these are fabulous! And somewhat of a surprise, as after reading the directions, I didn't have a clue how that middle layer would turn out. 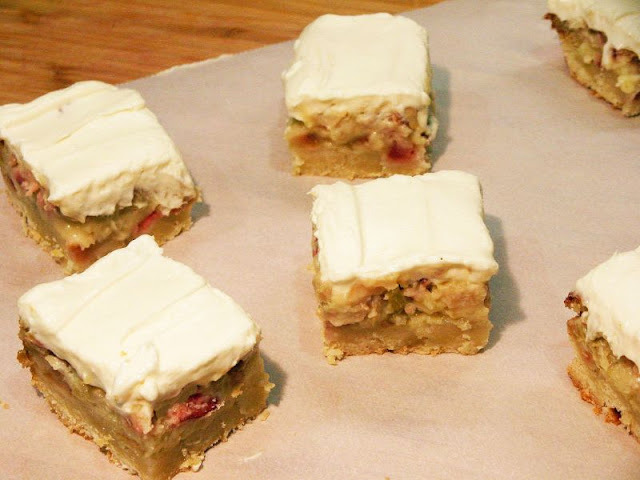 Of course, I'm prejudiced about anything rhubarb....it's my favorite, so considering all the recipes I make and post with it, don't you think it's saying something if I classify these as fabulous? 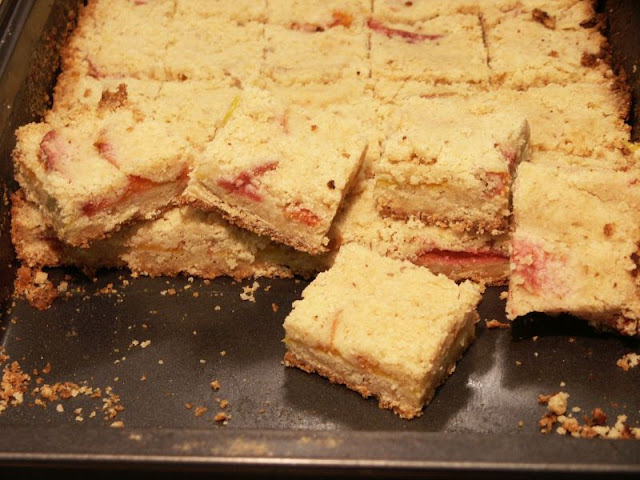 From the crisp bottom crust to the rhubarb custard filling to the unusual topping...nothing but YUM. Combine the flour and sugar; cut in butter until the mixture resembles coarse crumbs. Press into a greased and floured 13 x 9-inch baking pan. Bake at 350° for 10 minutes. Make the rhubarb custard filling: combine sugar and flour in a bowl. Whisk in cream and eggs. Stir in the rhubarb. Pour over baked crust. Bake at 350° for 40-45 minutes or until custard is set. Cool. Make the topping: beat cream cheese, sugar and vanilla until smooth; fold in whipped cream. Spread over top. Cover and chill. Cut into bars. Store in the refrigerator. This month, our book group read Cross Creek, by Marjorie Kinnan Rawlings. I'm sure you know her name as not only was there a movie made of this particular book, but she is most famous for her 1939 Pulitzer Prize winner, The Yearling, which I'm sure you've all read; it also was made into a movie. 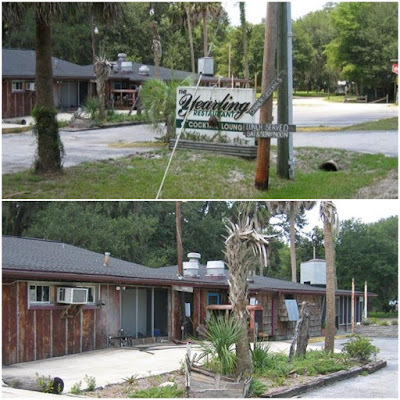 I added Micanopy to the map, as that's where we stayed (at the Herlong Inn, photo below), practically the only place in the area to spend the night. 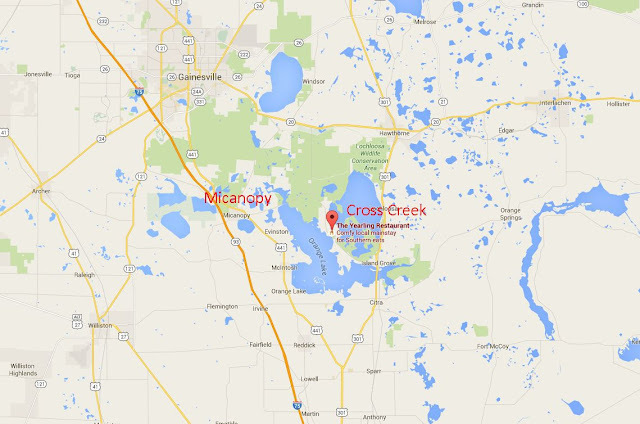 Cross Creek is about 10 or 15 minutes away. (Micanopy is a Florida town with an interesting history. That history includes Chief Micanopy who was the chief of the Seminole Nation during the 2nd Seminole War from 1835-1842.) They have some nice antique stores and one other gem of a shop, a small bakery, a general store where you can eat a snack during the day, but not much else. 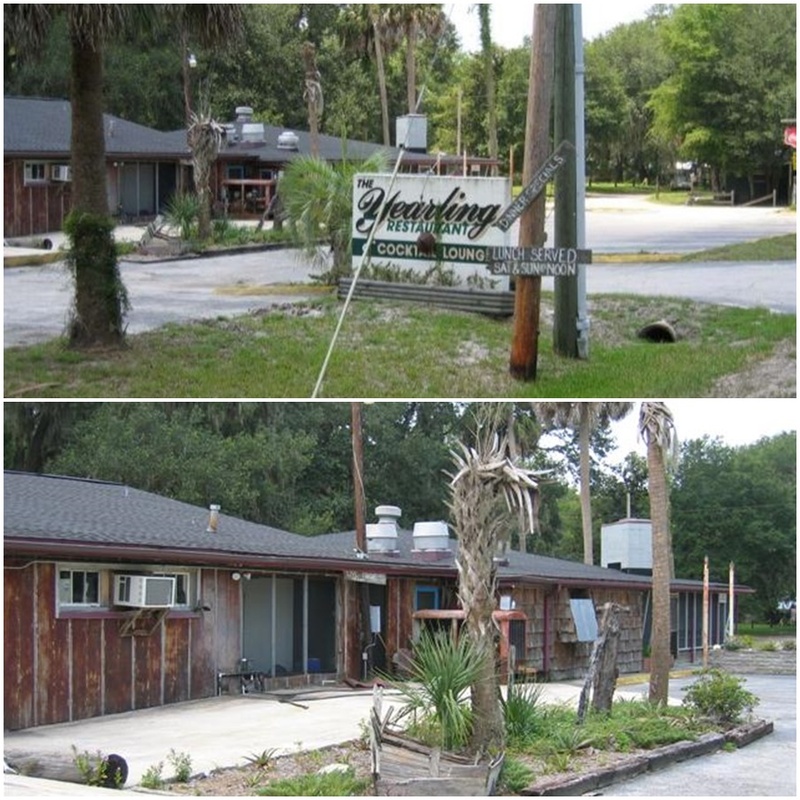 We ate one meal at the famous Yearling restaurant, definitely a Florida cracker type restaurant featuring gator meat, frog legs, catfish, fried green tomatoes, etc. Great fun and we got to hear Willie "Big Toe" Green, who appears to be the entertainer here. He specializes in blues music on the guitar and harmonica, and is quite good. I took a short video with my iPhone, but found this on utube....much better. 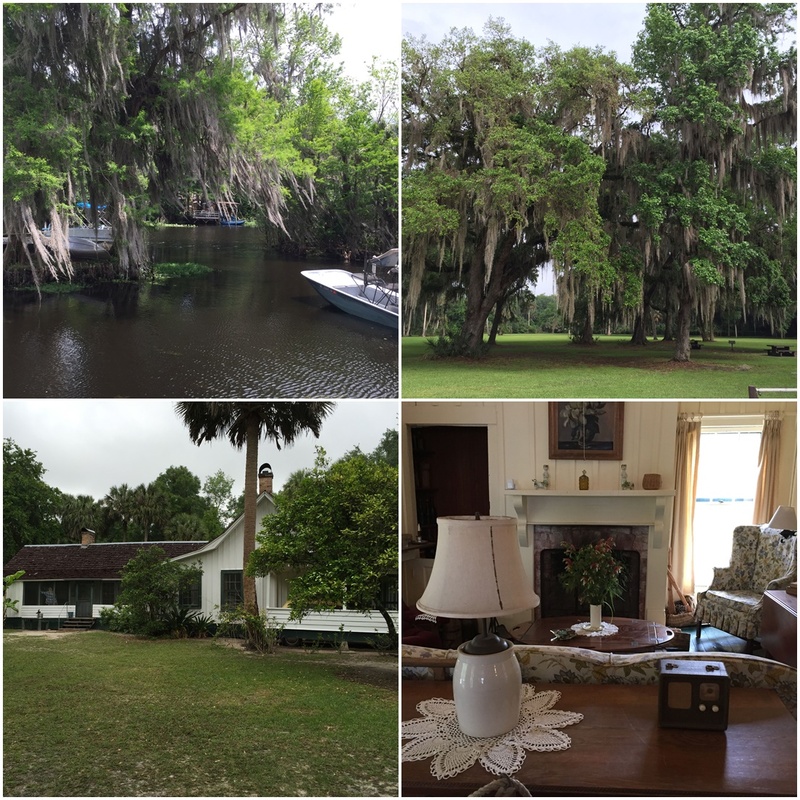 When you visit Rawlings' Cross Creek homestead you can walk back in time and experience Florida farm life as it existed during the 1930s. 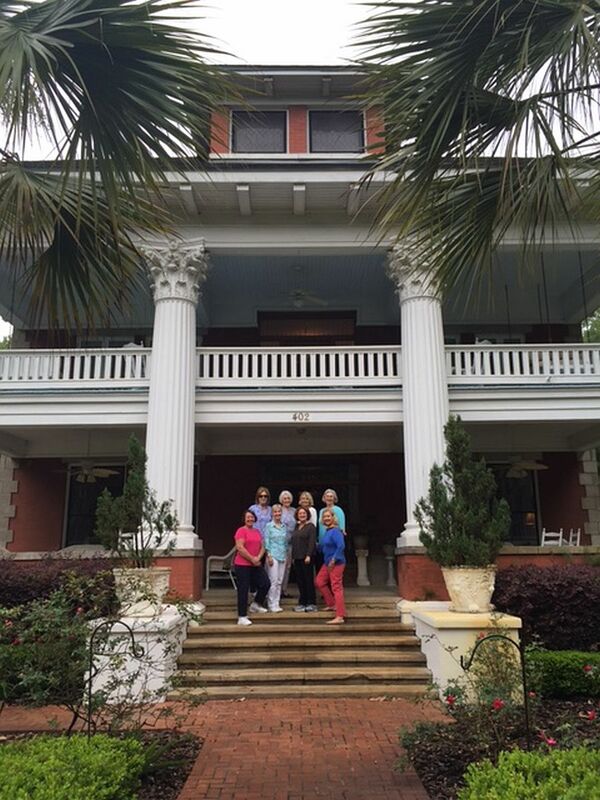 Her cracker-style home and farm, where she lived for 25 years and wrote the Pulitzer Prize-winning The Yearling, has been restored and is preserved as it was when she lived there. In 2007, the house and farm yard were designated as a National Historic Landmark and is a Florida State Park. 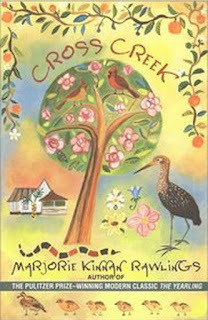 She moved to Cross Creek in 1928. (Her first husband was not fond of the isolation and left her soon after. She did remarry....hotelier Norton Sanford Baskin, happily, although she died in her 50's.) She was a graduate of the University of Wisconsin, and had been living in New York. She immediately fell in love with the isolation of Cross Creek. She felt like she was home for the first time in her life. 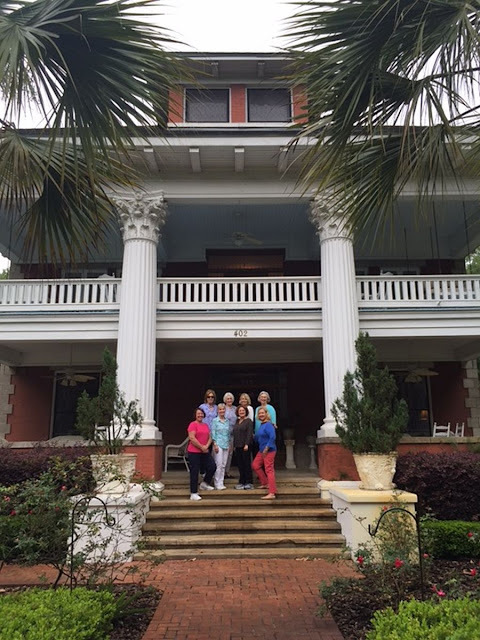 The Florida Crackers who lived in the area became not just her friends, but the subjects of her books. And also a 5 year long lawsuit....which you can read more about HERE if you're interested. 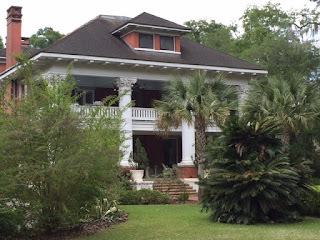 Some photos of the area; the house and living room are of the Rawlings homestead. 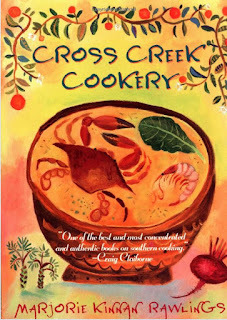 As we toured the home, there was a young woman in the kitchen cooking, on the original wood stove, a recipe from Marjorie's Cookbook, Cross Creek Cookery. (Marjorie was famous for her cooking.) 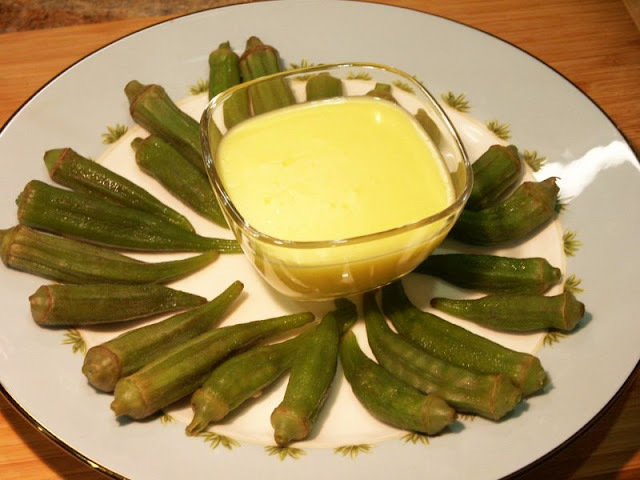 The young woman informed us she did something different each day and today we were having okra and broccoli with hollandaise from the cookbook. The next day she was going to make jelly. 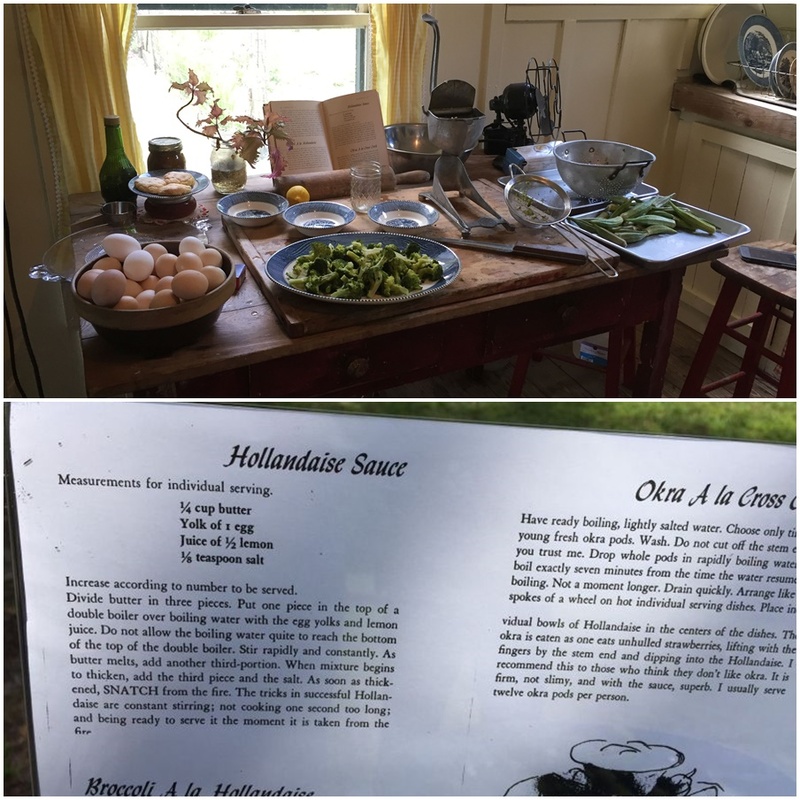 Below is a photo of the original kitchen, laid out with ingredients ready to make for us, and below that, a photo of the recipe in the cookbook, which was outside on the serving table. The hollandaise had a more distinct lemon flavor than mine, which is why I chose to make it for you. Divide butter into 3 pieces. Put one piece of butter along with the egg yolk and lemon juice in the top of a double boiler over boiling water. Whisk rapidly and constantly. As the butter melts, add another piece of butter. When it begins to thicken, add the third piece of butter and the salt. When thickened, remove from stove immediately and serve. Have some boiling, salted water going on the stove. Choose fresh okra pods, wash, but do not cut the tops off. Drop into the water and boil exactly 7 minutes, no longer. Drain quickly and serve with hollandaise. Cooks notes: Choose okra all the same size so they cook evenly. And I dumped them in ice water after the 7 minutes to stop the cooking. Gayle named her cake " Tweed Cake" because she thought it resembled a tweed skirt. 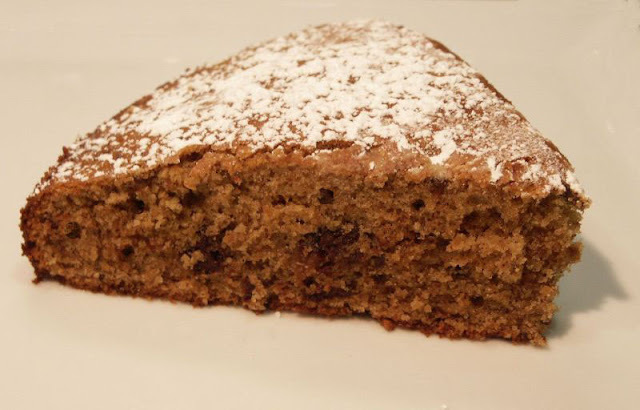 It's a simple, rustic kind of cake, light as air and the combination of nuts, spices, coffee and chocolate is divine. I chose to make this in my 9 inch springform pan, but if you make it in an 8 inch cake pan as Gayle did, you'll end up with a higher cake. I kind of like this size...not too big a slice. There's a nice texture as well, as not only do you have the pulverized walnuts, but also some less finely chopped walnuts. Toasting the walnuts first is a must here. Makes all the difference in flavor. It's a super carry-along cake for a picnic, too. Place 3/4 cup of the toasted walnuts, flour, baking powder, salt and cardamom in the bowl of a food processor. Process until the walnuts are finely ground. Set aside. Whisk together the milk, vanilla and instant espresso powder, set aside. Cream the butter and both sugars until pale and fluffy, then add the eggs one at a time, fully incorporating each into the mixture before adding the next. Scrape the bowl often. Slowly add the flour in three additions, alternating with the half the milk mixture and beginning and ending with the flour. By hand, fold in the remaining 1/4 cup chopped nuts and chocolate. Pour the cake batter into the prepared pan and spread it evenly. What more is there to say? You just can't beat this fine old southern dish! And be sure to use stone ground grits. The flavor is so much better than the instant. In a 2-qt. saucepan, bring 4 cups water to a boil over high heat. Reduce heat to low and whisk in grits. 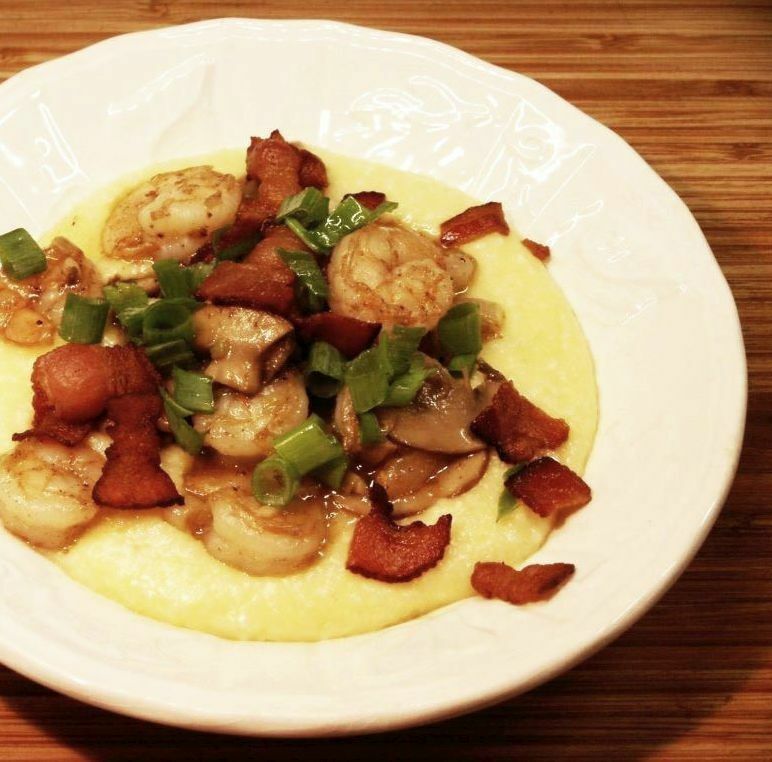 Cook, whisking frequently, until grits are tender and creamy, 30 to 40 minutes. Whisk in cheddar, parmesan, and 1 tbsp. butter and season with salt; cover and set aside. Heat oil in a 12" skillet over medium heat. Add bacon and cook, stirring occasionally, until crisp, about 10 minutes. 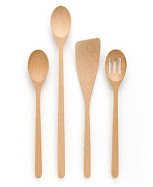 Using a slotted spoon, transfer bacon to a paper towel–lined plate; set aside. Reserve cooking fat in skillet. cook, turning once, until bright pink, about 2 minutes. Transfer shrimp to a plate with a slotted spoon. Lower heat to medium; add mushrooms to skillet and cook, stirring occasionally, until tender, 5 minutes. Add garlic and cook until golden, 1 minute. Raise heat to high, add chicken broth, and scrape bottom of skillet with a wooden spoon. Cook until broth reduces by half, 3 minutes. Return shrimp to skillet along with the lemon juice, remaining butter, and hot sauce and cook, stirring frequently, until sauce thickens, about 1 minute. Divide grits between 4 bowls; top each with shrimp and its sauce. Garnish each bowl with bacon, scallions, and lemon wedges.